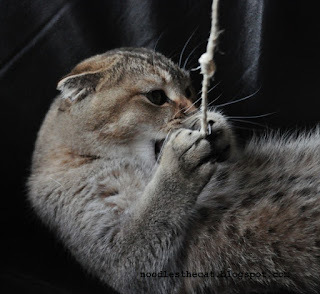 I IZ NOODLES THE CAT: This iz my piece of string!!! This iz my piece of string!!! Give me that!!! This iz my piece of string!!! No sharing!! !